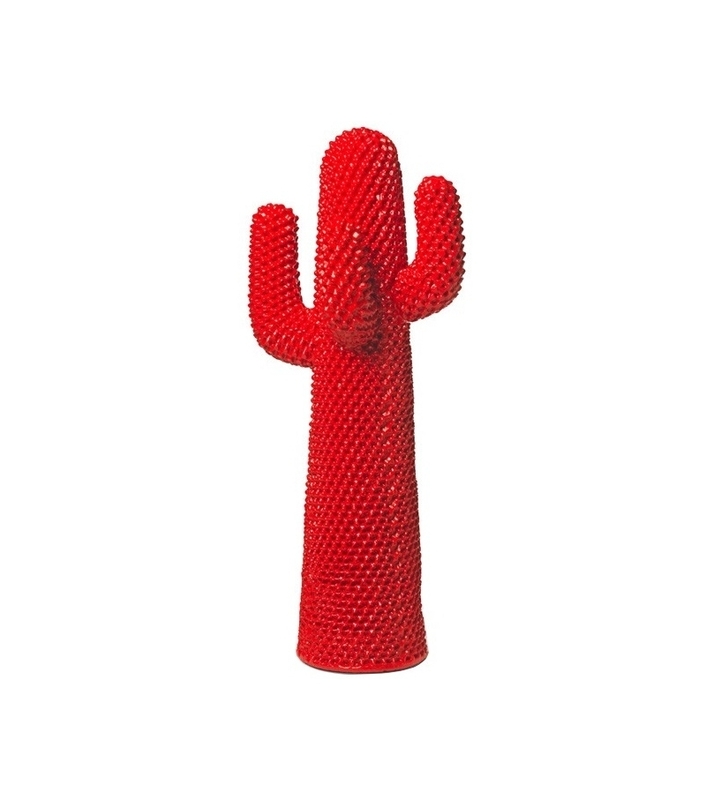 Rossocactus designed by Guido Drocco e Franco Mello for Gifram is a coat stand in foamed polyurethane painted with Guflac, water washable paint. 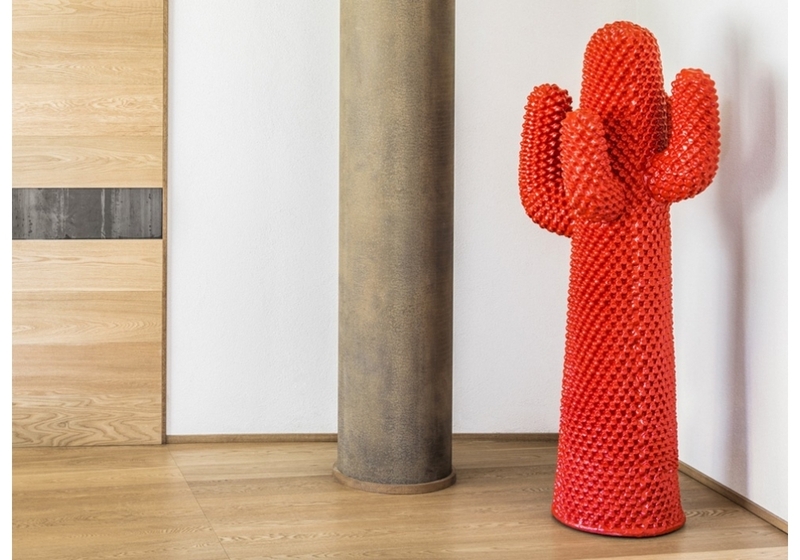 The subject of several, free and often ambiguous interpretations, Cactus is the icon of Italian design that has revolutionized the domestic landscape, by subverting the borders between indoor area and open space. 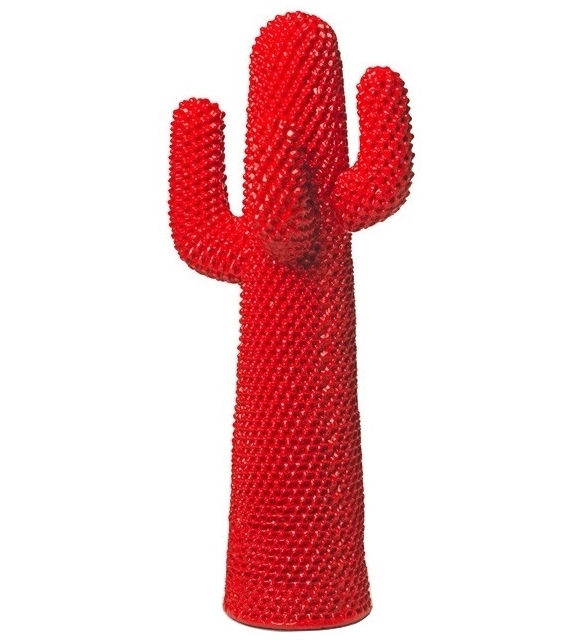 Cactus comes as an ironic totem. 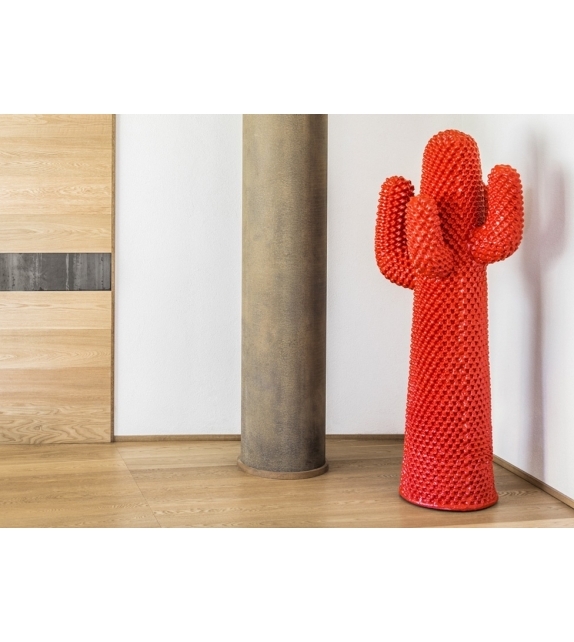 Rossocactus designed by Guido Drocco e Franco Mello for Gifram is a coat stand in foamed polyurethane painted with Guflac, water washable paint. 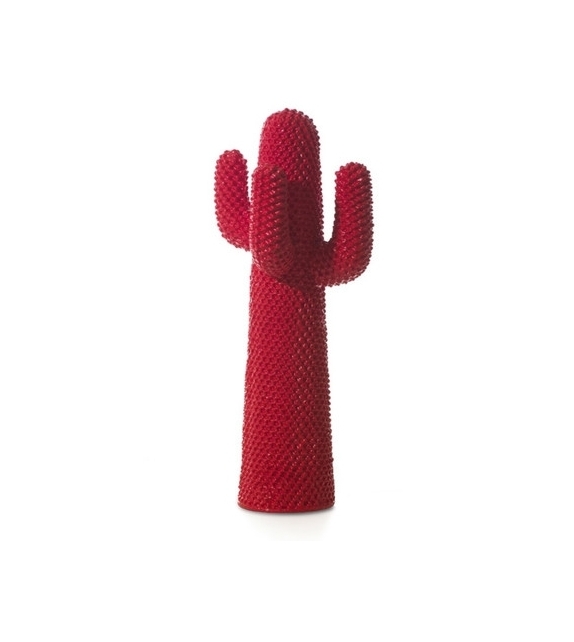 The subject of several, free and often ambiguous interpretations, Cactus is the icon of Italian design that has revolutionized the domestic landscape, by subverting the borders between indoor area and open space. 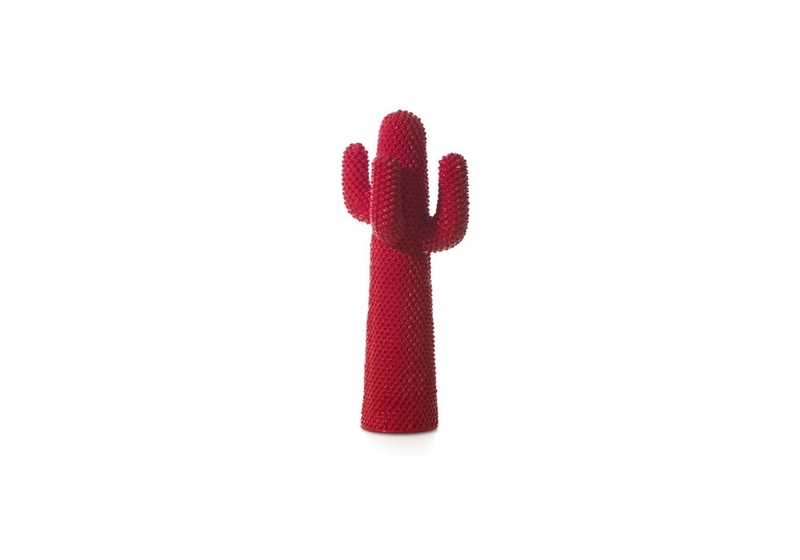 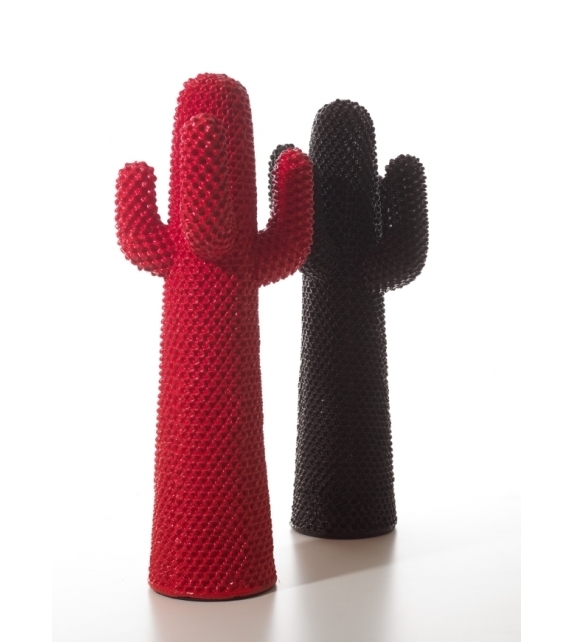 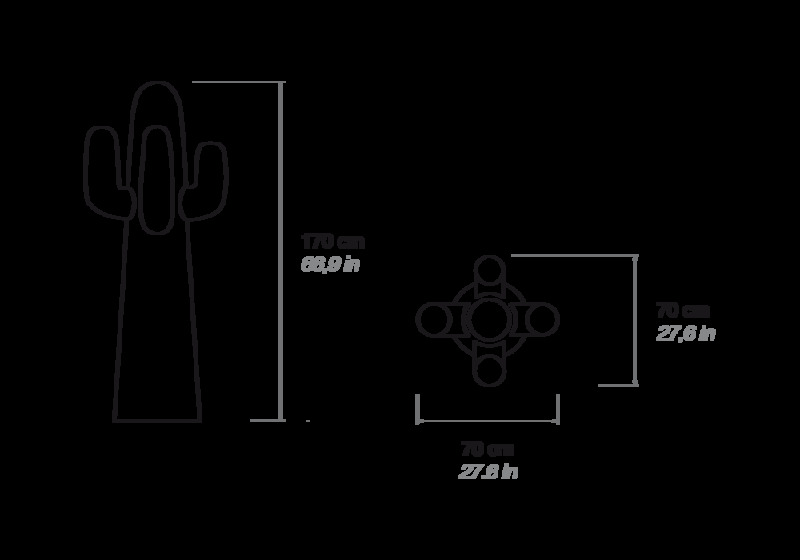 Cactus comes as an ironic totem, and embodies the grit, the imagination and the humour of the design of the Seventies. 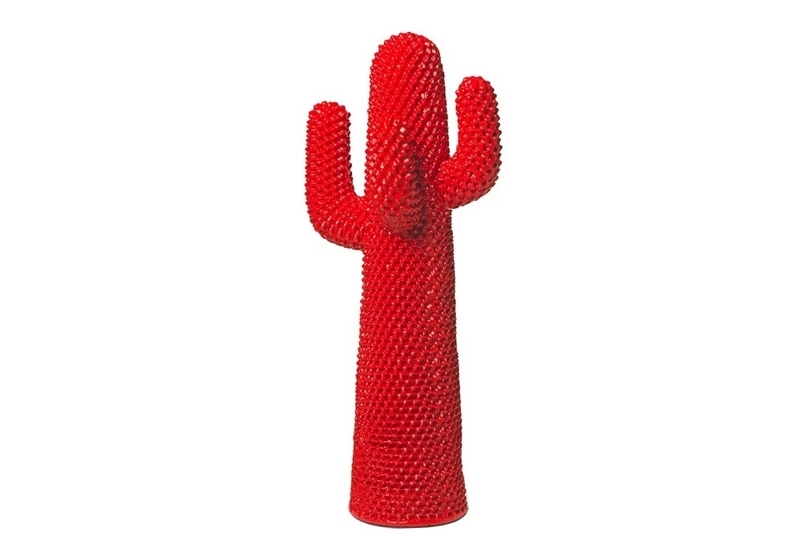 Likely to draw upon itself everybody’s attention, this hall-tree redeems itself from functionalism at all costs, because it can perform its function, but also be used as a merry decorative element. 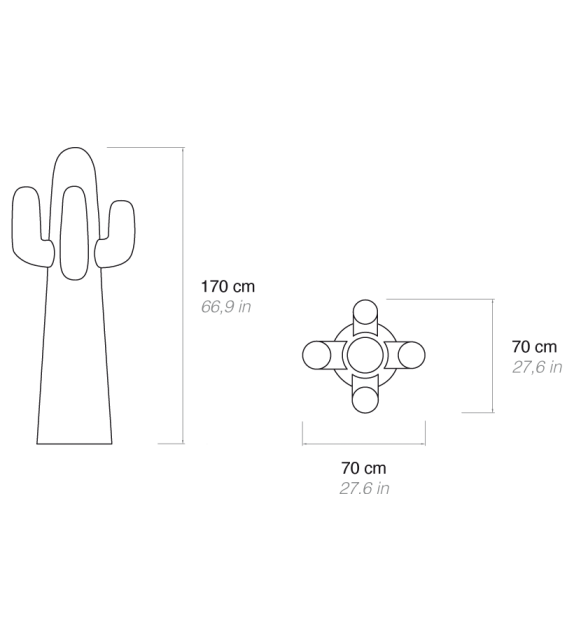 You have freedom of interpretation. 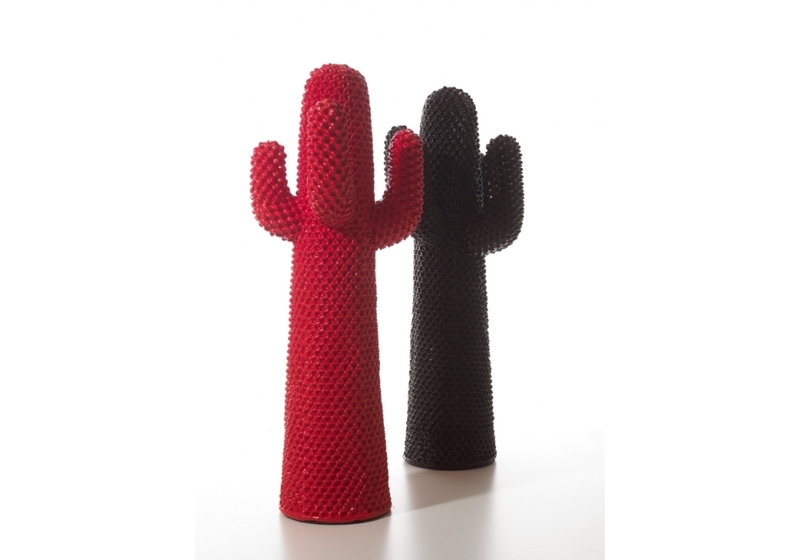 Cactus comes to life in 1972 thanks to the genius of Guido Drocco and Franco Mello, and from the start it questions the static and rigid world of interior design.